“I am going fishing,” Simon Peter said in John 21:3. He and the other disciples had no success until they heard someone on the shore saying, “Cast the net on the right side of the boat, and you will find some” (21:6). John recognized the voice and said, “It is the Lord!” (21:7). 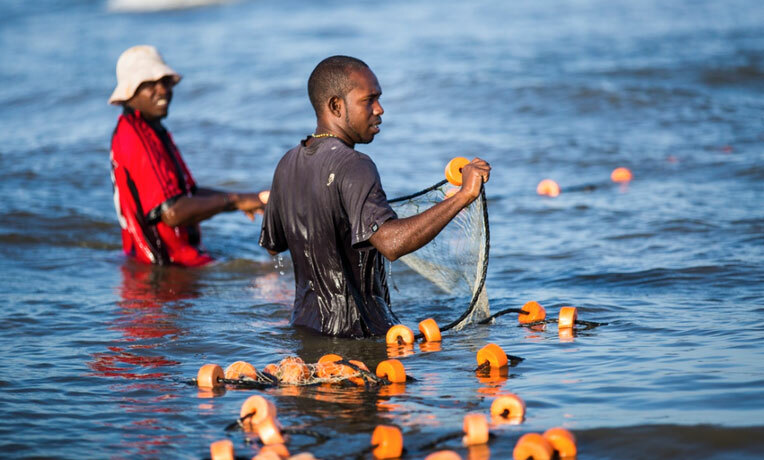 Today, Samaritan’s Purse has projects around the world that help fishermen increase their catch in ways that also earn a hearing for the Gospel and bring people to Jesus. A gift of $50 can help supply sturdy boats and nets or stock a pond with enough tilapia or other fish to bless an entire community.